The United Nations Framework Convention on Climate Change (UNFCCC) establishes the basic principles and goals for future international agreements on climate change. However, incorporating the ambitious policies and provisions of the UNFCCC into a binding global agreement has proven incredibly challenging. Previous attempts to create a comprehensive international climate agreement (most notably the Kyoto Protocol) have been largely unsuccessful, and many believe that the top-down approach of prior eras must either be updated or completely abandoned. This article will briefly explain some of the inadequacies of prior top-down regimes, examine the shift towards a more bottom-up approach in UNFCCC negotiations, and elaborate on some of the strengths and weaknesses of this new approach. Adopted in 1992, the UNFCCC is an incredibly ambitious international agreement that seeks to “achieve . . . stabilization of greenhouse gas concentrations . . . at a level that [will] prevent dangerous anthropogenic interference with the climate system.” With over 150 signatories (Parties) by the time it went into effect in 1994, the UNFCCC has received remarkable acceptance within the international community and today it “has near universal membership.” But despite its ambitious goals, the UNFCCC is essentially a guidance document; the treaty outlines objectives, principles, and general commitments, but is comparatively lacking in terms of implementation strategies and precise policy solutions. Thus, although the UNFCCC has created a general consensus on core principles and objectives, it also leaves many important decisions and details unresolved. Passed and adopted in December 1997, the Kyoto Protocol represents the first comprehensive agreement for the reduction of global greenhouse gas emissions under the UNFCCC framework. However, despite strong initial support from the international community, the Kyoto Protocol ultimately failed to induce significant emission reductions on a global scale. And while the relative failure of the Kyoto Protocol is often attributed to a variety of factors, one of the Protocol’s most significant flaws was its failure to promote participation by all UNFCCC parties. The lack of comprehensive participation under the Kyoto Protocol is largely a byproduct of the agreement itself. By its explicit terms, the Kyoto Protocol only requires emission reductions from thirty-three countries during the first period of Kyoto commitments (2005-2012). Additionally, the emissions reductions required under subsequent Kyoto periods (2012-2020) have yet to enter into force due to insufficient ratification by member Parties. So while it is true that the Kyoto Protocol encourages all parties (including developing countries) to adopt emission reduction targets, the agreement ultimately failed to obtain emission reduction commitments from the some of the world’s largest greenhouse gas emitters, including the United States, China, Brazil, India, South Africa and various other countries. As a result, the Kyoto Protocol has failed to provide a truly comprehensive and effective solution to this increasingly pressing issue. Citing the failure of the Kyoto Protocol and the international community’s subsequent inability to reach a successive agreement, some experts have called for a fundamental overhaul of the global climate change debate. Various sources suggest that the traditional top-down approach as exemplified in the Kyoto Protocol might not be the best strategy for addressing global climate change today. Instead, many believe that to stand any chance of global acceptance in the near term, future climate change agreements must be significantly more flexible and provide all Parties with the opportunity to pursue those strategies and solutions that best accommodate their unique interests and priorities. Indeed, even the UNFCCC acknowledges the limitations of a traditional top-down approach in the context of climate change. At COP17 in 2011, UNFCCC Parties created the Ad Hoc Working Group on the Durban Platform for Enhanced Action (ADP), an organization responsible for “[developing] a protocol, another legal instrument or an agreed outcome with legal force under the [UNFCCC] applicable to all Parties” that will be adopted “no later than 2015.” And while the desire to replace the Kyoto Protocol is not surprising, some of the main features of this new agreement signify a paradigm shift in global climate change negotiations. To ensure an agreement is reached by 2015, the ADP devised a radical new method that attempts to encourage greater levels of participation by all UNFCCC Parties. Rather than relying upon a more formalistic top-down approach as used in the Kyoto Protocol, the ADP has asked all member Parties to create voluntary emission reduction targets that are not only achievable, but also reflect the basic policies and priorities of the UNFCCC. Known as Intended Nationally Determined Contributions (INDCs), these proposals require parties to “outline national efforts towards low emissions and climate resilient development,” and identify specific policies and practices that will enable the country to reach its intended targets. Moreover, there is no standard definition of what should be included in INDCs, a feature that allows Parties to formulate creative adaptation and mitigation strategies that take full advantage of their unique institutional capacities. The ADP’s new bottom-up INDC approach is noteworthy in that it is entirely voluntary; INDCs afford each Party the opportunity to set emission reduction targets independently and without regard to the efforts of other Parties. And because INDCs are completely discretionary, these commitments are likely to accurately reflect each Party’s inclination and ability to undertake climate policies in the near future. In fact, the ADP hopes that these INDCs will play an integral role in future climate change negotiations and serve as the starting point for any agreement coming out of the negotiations in Paris this year. Moreover, there are at least two reasons why this bottom-up approach may be a preferable alternative to a more legalistic top-down approach at the present time. First, INDCs offer substantial flexibility when it comes to setting emissions reductions targets and implementing policies to achieve this goal. This flexibility allows the Parties to prioritize their efforts based upon their own unique economic, political, and geographic considerations and ensures that all Parties begin the transition towards a low-carbon economy at their own pace and in a cost-efficient and predictable manner. A second important feature of the INDC system is that it poses relatively little threat to the sovereignty of individual nations. Because INDCs are not legally binding commitments, the INDC program is a far more attractive alternative for those countries that are most wary of international meddling in domestic affairs. Indeed, both the United States and China – two countries that have up until this point refused to commit to any emission reductions in formal international agreements – have submitted INDCs under the Durban platform. Yet despite its potential benefits, the INDC model cannot be considered a perfect solution since it will ultimately fail to achieve all of the ambitious policies and objectives outlined in the UNFCCC. Perhaps the biggest issue with the INDC approach is that despite widespread participation by UNFCC Parties, the current set of INDCs fail to achieve the emission reductions needed to keep climate change at manageable levels. Under the 2010 Cancun Agreements, UNFCCC Parties acknowledged that one of the main objectives of any future UNFCCC agreement should be to keep global average temperature increases below two degrees Celsius. According the UNFCCC’s own estimates, however, the current INDC pledges (assuming the Parties achieve their stated goals) will only limit projected warming to 2.7 degrees Celsius (4.9 °F) – and that projection includes fairly generous assumptions regarding the post-2050 actions of UNFCCC Parties. A second potential issue with the INDC method is that it completely overlooks several key issues that have traditionally prevented the formation of a truly comprehensive climate change agreement under the UNFCCC. The UNFCCC explicitly acknowledges that developed countries are primarily responsible for the steady increase in greenhouse gas concentrations over the previous centuries, and as such, these developed countries must play a leading role in addressing climate change. But despite its inherent logic, this notion of “common but differentiated responsibilities” has been notoriously difficult to operationalize within the framework of a global agreement. INDCs do very little to address this contentious issue since their non-binding and unilateral nature fails to ensure that developed countries bear a disproportionate share of emission reductions and provide sufficient funding to aid in the global transition towards a low-carbon economy. Therefore, since these INDCs will serve as the foundation for future negotiations, it can be argued that the inward-looking INDC model will ultimately prevent the resolution of certain controversial issues in the near future. The INDC system represents a novel solution to the previously intractable issue of global climate change. This bottom-up approach has already received unprecedented support from the international community, with over 147 Parties (75% of all UNFCCC Parties) having submitted INDCs as of October 1, 2015. Unlike prior agreements under the UNFCCC such as the Kyoto Protocol, the INDC system currently covers “approximately 85% of global greenhouse gas emissions in 2010,” including all of the top ten largest emitters. But even though the INDC process is largely responsible for enhancing the scope and pace of global negotiations, we must bear in mind that this approach is not the final solution to this incredibly complicated issue. Nonetheless, it appears that the INDC system has been a success in terms of increasing participation from all Parties, and there is hope that these proposals will form a strong foundation for an agreement coming out of Paris this December. Luke Grunbaum is a Third Year law student who serves as the Editor-in-Chief for the UCLA Journal of Environmental Law & Policy. You can also find the Article on the UCLA Journal’s website at https://jelpblog.wordpress.com/2015/11/28/from-kyoto-to-paris/. This post is part of the Environmental Law Review Syndicate. convention/background/application/pdf/convention_text_with_annexes_english_for_posting.pdf)[henceforth referred to as “UNFCCC”]. Kyoto Protocol to the United Nations Framework Convention on Climate Change, Dec. 10, 1997, 37 I.L.M. 22 (1998) (entered into force Feb. 15, 2005) [hereinafter Kyoto Protocol]. 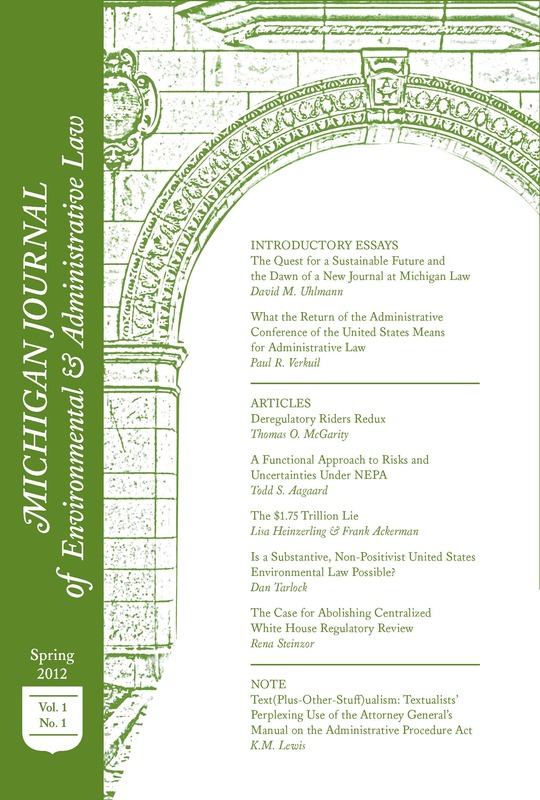 See also Andrew Long, Global Integrationist Multimodality: Global Environmental Governance and Fourth Generation Environmental Law, 21 J. Envtl. & Sustainability L. 169, 183 (2015). See e.g.,Jonathan Zasloff, Choose the Best Answer: Organizing Climate Change Negotiation in the Obama Administration, 103 Nw. U. L. Rev. Colloquy 330, 332 (2009) (“The Kyoto Protocol’s failure to achieve emissions reductions from the major greenhouse gas emitters suggests the need for new approaches.”); Lakshman Guruswamy, Climate Change: The Next Dimension, 9 J. Transnat’l L. & Pol’y 341, 367 (2000) (“Current efforts to include developing countries within the emission reducing framework of the Kyoto Protocol have proven unsuccessful. By any analysis, portentous implications arise from the present diplomatic deadlock with regard to the cooperation of developing countries and the rising concentrations of GHGs.”). See, e.g., Jacquelynn Kittel, The Global “Disappearing Act”: How Island States Can Maintain Statehood in the Face of Disappearing Territory, 2014 Mich. St. L. Rev. 1207, 1218 (2014) (noting that the Kyoto Protocol “has been largely unsuccessful in reducing global greenhouse gas emissions” because over 100 nations, including some of the highest emitters such as the United States and China, are exempt from emission limits under the Protocol). The term “top-down” is defined as “of or relating to a hierarchical structure or process that progresses from a large, basic unit to smaller, detailed subunits.” American Heritage Dictionary of the English Language (5th Ed., 2011). David A. Wirth, The International and Domestic Law of Climate Change: A Binding International Agreement Without the Senate or Congress?, 39 Harv. Envtl. L. Rev. 515, 521 (2015) (“The first, and to date only, protocol to the [UNFCCC] is the Kyoto Protocol . . . which specifies quantitative emission reductions . . . by thirty-three enumerated industrialized countries . . . [but] no new emission-reduction commitments for [other] Parties.”);Cinnamon P. Carlarne, Rethinking A Failing Framework: Adaptation and Institutional Rebirth for the Global Climate Change Regime, 25 Geo. Int’l Envtl. L. Rev. 1, 2-3 (2012) (“The conventional wisdom that we need one, consensus-based, comprehensive treaty is wrong or – more accurately – woefully incomplete. . . . [T]he optimistic vision of this top-down system as a great enabling device is no longer viable.”);William Boyd, Climate Change, Fragmentation, and the Challenges of Global Environmental Law: Elements of a Post-Copenhagen Assemblage, 32 U. Pa. J. Int’l L. 457, 457 (2010) (“The 2009 United Nations climate conference in Copenhagen has been widely viewed as a failure – a referendum in the eyes of many on the top-down, comprehensive approach to climate embodied in the Kyoto Protocol and carried forward in efforts to negotiate a successor regime.”). Carlarne, supra note 9 at 2-3 (“[T]he valiant efforts of the global community to negotiate a post-Kyoto treaty system have arrived at a crossroads and . . . instead of focusing on the finding the “right” pathway forward, there is a need to pursue multiple pathways. . . . We need a multilateral framework to respond to climate change and establish a global mitigation strategy.”). Report of the Conference of the Parties on its seventeenth session (2011), available at: http://unfccc.int/resource/docs/2011/cop17/eng/09a01.pdf). /pdf/synthesis_report_-_overview.pdf) [henceforth referred to at “INDC Synthesis Report”]. For more information about INDCs and their significance for future climate change agreements, see World Resources Institute, “What is an INDC?,” (available at: http://www.wri.org/indc-definition). INDC Synthesis Report, supra note 13 (“Parties have submitted their INDCs with the understanding that they would be anchored in a broader new climate agreement that would support sustainable actions nationally and globally.”). Further Advancing the Durban Platform, Dec. 1/CP.19, U.N. Doc. FCCC/CP/2013/10/Add.1, at 3, para. 2(b) (Jan. 31, 2014). INDC Synthesis Report, supra note 13. UNFCCC, supra note 1 (“Acknowledging that the global nature of climate change calls for the widest possible cooperation by all countries . . . in accordance with their common but differentiated responsibilities and respective capabilities and their social and economic conditions.”). See, e.g., Stathis N. Palassis, The IMOS Climate Change Challenge: Application of the Principle of Common But Differentiated Responsibilities and Respective Capabilities, 6 Wash. & Lee J. Energy, Climate, & Env’t 160, 164-71 (2014). Next EPA Unveils Final Clean Power Plan: So What’s All the Fuss About?